I'm sure by now everyone has noticed the new Chat feature! This text messaging styled feature is functional, but still has a lot of bugs to sort through. The first thing we want to add / fix is the ability for users to turn Chat off when they would rather play solo, or would prefer not to get the notifications. We're working on the backend coding to put this in place, and we should see it operational by this weekend! We apologize for the inconvenience of the notifications until then. But it's not all a waiting game! Enjoy some new Human Avatar Apparel Items now stocking in the festival stall. Put on a Sundress for your picnic out in the Grasslands or at the beach. Or perhaps you'd rather hang out in town with a new Skateboard and a sleek pair of Fingerless Gloves. Don't forget your Helmet and Knee Pads for safety! I hope everyone is enjoying the warm sands and cool waters of the Ocean so far this month. It's time to dive a little deeper to see what Otter has in store! We've got a lot of fun updates to announce, so I'll jump right into it. Jellifysh (#2290) used an item ticket to create the Octopus Plushie! You can get this item by exploring in the Ocean, but only for a limited time - it will retire permanently after May is over. Don't miss out on this cute collectable! There are several new events happening in the Ocean... You may now encounter a shark, a diver, or a swarm of jellyfish, each with the potential to drop new and unique items! We hope everyone enjoys the expansion of the Option Step explore feature, even while we continue to work out some of the lingering bugs related to explore. We appreciate your bug reporting and your patience while we investigate! Patreon items will be going out soon - congrats to everyone receiving the adorable Cuddly Eel! If you aren't a Patreon and are in dire need of one of the past retired items, we've got a new item for you: the Platinum Patreon Key is now for sale in the Crystal Exchange for 10 crystals. This item lets you choose any one retired Patreon item from this list, instead of crossing your fingers and waiting for it to appear in the Patreon Chest. Welcome to May! This month, we celebrate the Otter Guardian and her Ocean region. Below are some standard first-of-the-month updates! We have a new craftable apparel item right off the bat. Being loaded down with sand and seashells while exploring? Why not make a Sandcastle for your pet? This new wearable can be applied to any major / Guardian pet species (sorry cats, maybe someone will make a sandcastle skin for you, too). In the spirit of the Ocean festivities, there is also a new Jellyfish Icon for everyone to enjoy! Last month was full of fun contests, both art and writing, so this month is full of winners! Skin of the Month (after much deliberation) has been awarded to Jambomaya (#2434). Their Shark Otter Skin is a wonder to behold, and can be picked up in the Festival Stall until the end of this month, after which it will retire forever! This means the next Skin of the Month contest is already underway - and the new theme is Lions! Check out the new contest right here - entries will be accepted until May 31st. 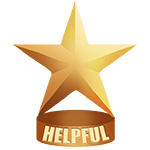 This month's Helpful Trophy goes to Petraea (#2308)! They're a sweetheart to newbies, and have shown consistant interest in helping out and making everyone feel welcome, whether it's with a free item or pet, or with a helpful tutorial. The two winners of the Life Festival Writing Contest are Nekoran (#2598) and Shattered-Ice (#2719). Congrats, both of you! Their winning stories were a dark theory about the motivations of the Guardians, and a lighthearted pet's romp through Novilar, respectively. Click the links to read them for yourself, and click through the contest thread to read the other wonderful entries! We hope everyone has a wonderful May! There will be more to come, so stay tuned for a fun update to the Ocean soon! We had rather a lot of bugs to work through related to the new Explore Overhaul, but those have (mostly) been fixed! 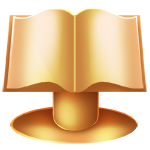 Some lingering issues are tied to Collections / Achievements, which is going to be our next complete coding overhaul. It's greatly needed, and we appreciate everyone's patience as we tackle these one at a time! Interest rates have been adjusted for everyone. This was a needed economic adjustment in response to some users who were becoming far, far too wealthy through their interest, gaining millions of gold a day, creating a huge disconnect between newer or younger players and the "super rich". Premium users' interest is now .02%, basic users are .01%, and merchants get an added .005% added onto that. Nova the Cat has appeared! This elusive minipet can now be discovered through some Option Steps in the new explore. We love feedback, so please feel free to comment or shoot us a message if you have any questions or concerns! Happy Easter! We hope you're all still enjoying the Buns in Explore. While you still have time to chase them around until April is officially over, we wanted to release several other new pieces of Guardian-universal apparel! This means, along with the other universal apparel, it's wearable by any of the major pet species. Enjoy the new Wings of Life and the Angelic Pet apparel today! In addition, a new Uncommon Marking has appeared! For the first time, apply the Siamese (tail slot) marking to any pet. Since it's uncommon, it will begin appearing on wild or corrupt pets in Explore, or can be made with any Mythic Totems. Siamese is shown on the cat below. Since it's a Tail marking, it can be cleverly layered with face and leg markings to create some really unique pets! Chase the wild buns for rewards! Bunnies have overtaken Novilar! As a part of this year's Life Festival, one particular minipet species seems to have experienced a population boom. The rabbits that were once only native to the Grasslands have magically adapted to Novilar's various environments, and now seem to be hopping all over the place, leaving curiously painted eggs in their wake! If you find yourself smitten with one of the Enchanted Buns, make sure to collect it in Explore before April is over! After April ends, the magic of the Life Raven will fade, and the Bun minipets (and their painted Eggs) will retire. But that's not all! The Mountains and the Grasslands, instead of hosting new Buns, seem to have a couple new baby animals that are here to stay, even after the Life Festival is over. Why not go say hello? Grab your pencils or keyboards and get creative! For this contest, you may choose one of the three given prompts, and write a scene or short story set in the world of Novilar. You may write from the perspective of anyone – your human avatar, one of your pets, a Guardian, or even one of the shopkeeper NPCs! Click the previous links for resources on these characters/NPCs for your writing, and click here for the official Contest Thread. Each month, artists can create normal or deluxe skin(s) on the given pet base for a chance to win 6 crystals, a unique artist icon, and free copies of your skin. This month's skin theme is OCEAN! Check out this thread for details and for information on how to enter the contest. We are pleased to award this month's Helpful Trophy to Yuu (#20)! Yuu has been a great help both to other users and staff since Open Beta began last year, which makes this award rather overdue. Congratulations! If there's someone you think deserves this award, feel free to go nominate them in this thread. We were thrilled to receive some beautiful entries for the previous month's Skin of the Month Contest! Our new winner is... the Enlightened Wolf Skin by comedic (#1345). Their winning skin will be stocking in the Festival Stall during April, after which it will retire permanently. We are proud to officially unveil the heart of the Life Festival… with the long-awaited Explore Overhaul?! Exploring has never been faster, more fun, or easier on your internet connection. With a completely re-coded system, we hope everyone enjoys the new changes, including Option Steps. These new explore events allow you to choose how you want to proceed and interact with the environment in a new way. For the first time, you are also able to encounter Wild Cats in the Forest! Instead of being corrupted and requiring Purification Potions to cleanse and take home with you, these wild cats are simply hungry. Before venturing into explore, try stocking up on some Kibble. 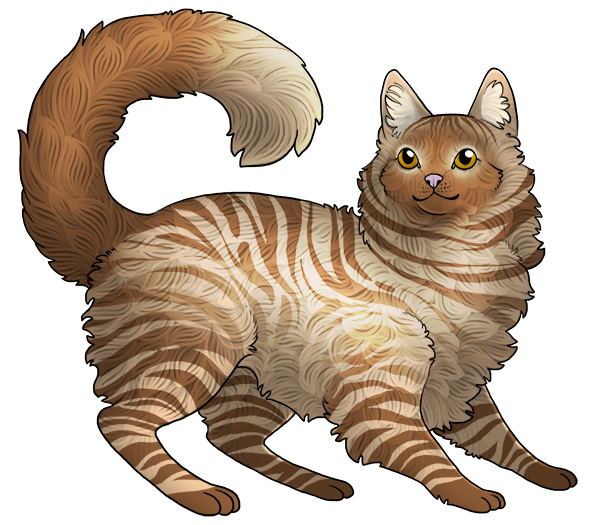 Kibble is both craftable and available for sale in the General Store - feed them to a wild cat for the chance to make a new friend you can take home to your territory! Mythic Kibble (sold in the Crystal Exchange) is an automatic 100%, and will guarantee the cat you're attempting to tame will make it into your territory - using the other types of kibble is a bit more of a gamble. ...and this isn’t even our final form. With more to come throughout the month, this soft release allows everyone to get used to the new system before we release even more Life Raven festivities for everyone to enjoy. So as always, stay tuned for more! We had prepared totems for everyone to create their own Pet Rocks, but unfortunately someone dropped them on the ground, and we were unable to tell which ones were Rock Totems and which ones were... well, just rocks. While we wait for the shopkeepers to painstakingly sort through every rock around town, please enjoy the new universal Pet Rock Icon! In order to make a Pet Rock, you must craft one by gathering supplies in Explore and/or purchasing them around Novilar. NOTE! Googly Eyes, a critical ingredient in making your Pet Rock, will be available for sale today only, after which they will be retired permanently. You can pick them from the Festival Stall. If you want to make more than one Pet Rock, you're free to stock up on Googly Eyes - Pet Rocks will be craftable even after the Googly Eyes item has been retired.